Pressboard (LD & HD) manufactured by Cottrell Paper CompanyCottrell Pressboard – This material is made from 100% virgin fiber electrical Kraft pulp. The stock is extensively cleaned and specially refined to insure maximum purity and physical strength. No sizing, clay, fillers, or other chemical additives are used. The absence of impurities ensures that the aging characteristics will meet the most exacting requirements. 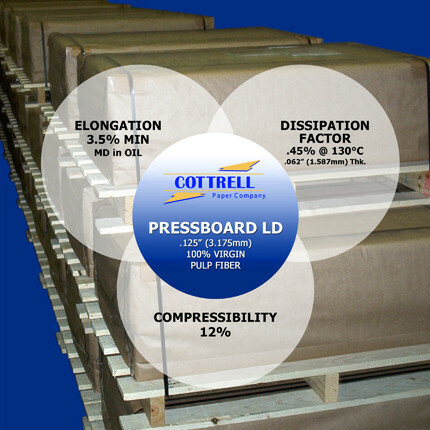 Cottrell Pressboard is available from .002″ to .125″. 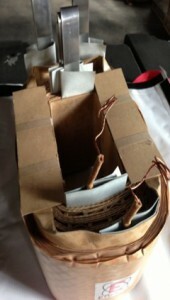 Pressboard is widely used for barrier insulation, core insulation and spacing in transformers. Cottrell Pressboard is made with excellent elongation properties for various forming applications. It is also used in motors and other electrical applications where high dielectric and physical strengths are required. Our materials conform to IEC – 60641.